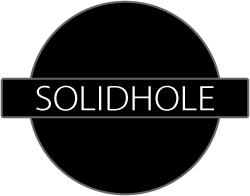 Solid Hole is a small site with one single focus, we believe that every person has the right to water supply for personal and domestic use. When you buy a Solid Hole T-shirt you earn your place in Solid Hole of Fame. This entry was posted in Solid Hole - News and tagged a solid hole, article twentyfive, broncosaurus, charity: water, conflict about water, declaration of human rights, distribution of water, fair distribution of water, fair water distribution, hole of fame, human rights, mia´s reason, per bronco, per bronco karlsson, per bronco karlsson and tibet in reverse, red cross, solid hole, solid hole t-shirt, solidhole, spreadshirt, unicef niger, water conflict, water distribution, water supply, water supply for personal and domestic use, WaterAid. on April 19, 2013 by Admin.